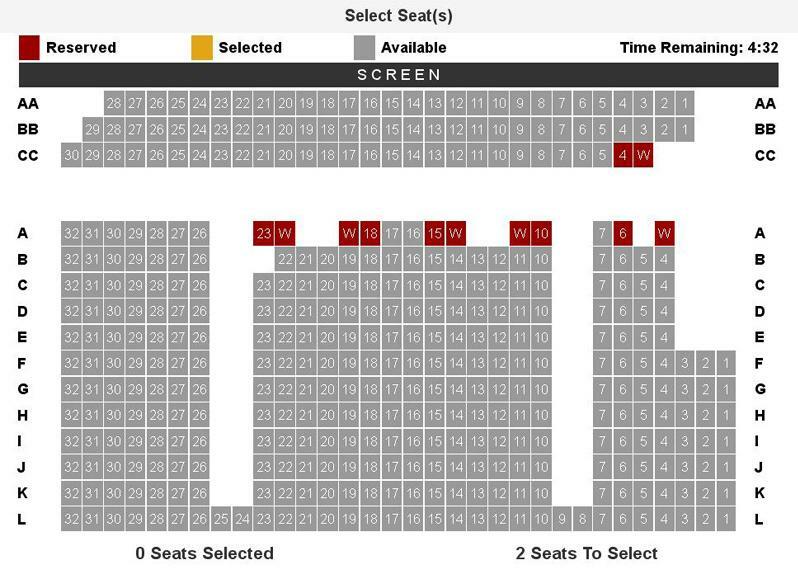 Have you ever been planning to buy movie tickets in advance for an UltraAVX theatre in the Lower Mainland/Greater Vancouver/Metro Vancouver/whatever it's called now, but you didn't want to log into your Cineplex account and click through a bunch of steps, just to get an idea of what seats you wanted to choose from? Step 1. Log in to your Cineplex account. Step 2. Pick which movie time you want to attend and make sure it has the UltraAVX logo beside it. Otherwise you're just buying "general admission" advance tickets for a regular theatre. Step 3. After a bunch of other self-explanatory steps, you will see the UltraAVX theatre map (see below). The dark red/maroon colour means those seats have already been reserved. The grey means those seats are available. The yellow/amber colour are your chosen seats. 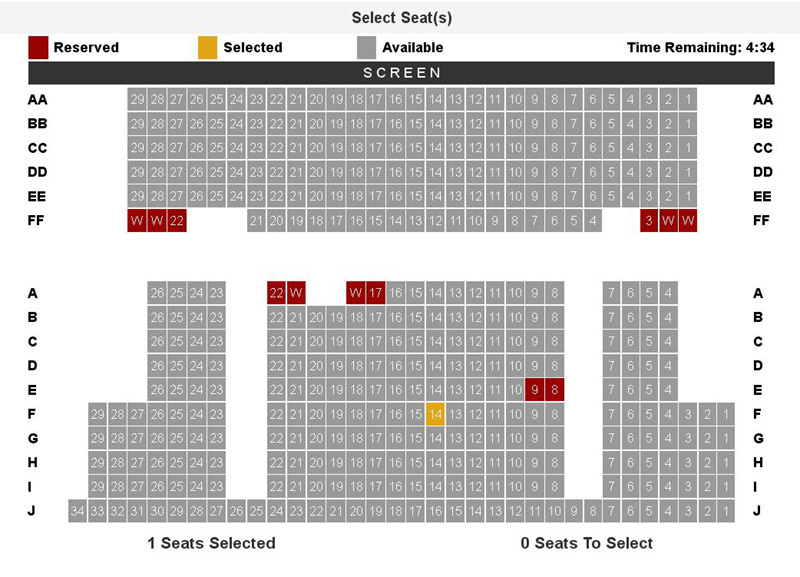 The system automatically chooses the "best" seat(s) available so if you want to re-choose your seats, click on the yellow/amber seat(s) you don't want. They will turn grey. Now click on any available other grey seats that you DO want. That's it! Step 4. Print your ticket or have it ready on your smart phone when you go to the box office. Remember, even if you get to the theatre late, your seats are still reserved for you! Peace of mind! But if you arrive late on purpose and even talk through the previews and trailers, you are a giant poophead.